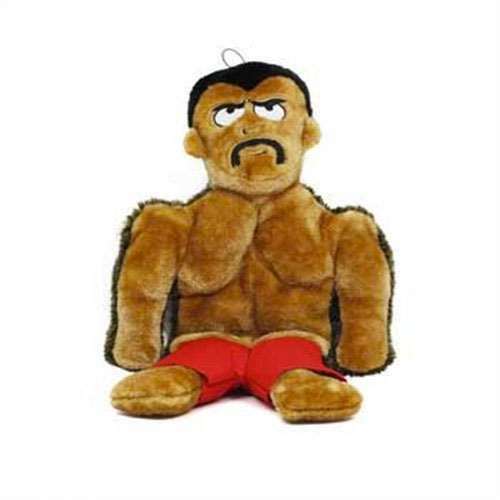 It's fuzzy stuffed hedgehog meets 'roided out meathead in this toy for your dog that you'll probably buy just as much as a gift for yourself. 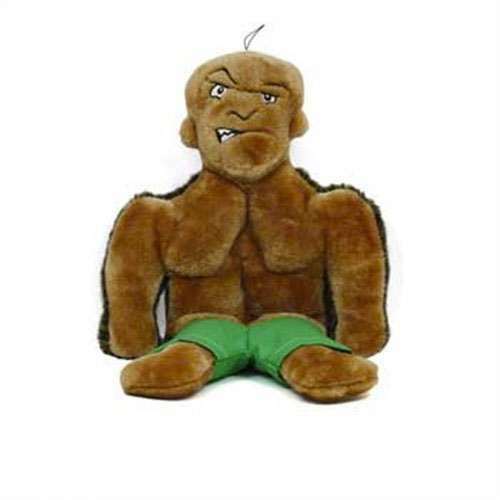 Outward Hound's Tuff Guy dog toys squeak, grunt, and huff for your pooch while their bulging pecks, 6-pack abs, and flexing-or-just-constipated? expressions pump [clap] you up as you watch the two play. 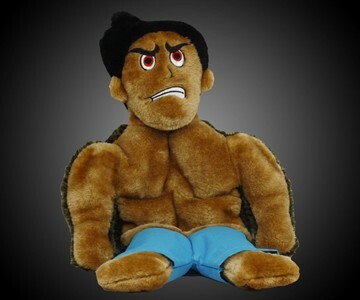 Or, more likely, watch your dog rip Tony, Hank, or Lars apart faster than the bodybuilders can do a set of power curls. Oh yes, the Tuff Guys have names. Tony, pictured above, is described as a former boy bander who began questioning the manliness of his music after the group failed to produce a second hit after "Layers of Love." He rebelled, got kicked out, and then channeled his anger and despair into his workouts, eventually winning the World's Strong Dude competition 3 years in a row. Mustachioed Hank grew his mus-kles at a young age, working in his daddy's lumber yard. As an adult he parlayed his strength into 72 straight UXC wrestling titles. And bald Lars has been bald his whole life. Because, he has always said, "Hair doesn't grow on steel." Lars is a former European hockey player who retired to Montana, where he's now pursuing country music fame. While the Tuff Guys are no longer active in their body pumping and brute force pursuits, any of them would still be happy to throw down with your boxer or labradoodle. 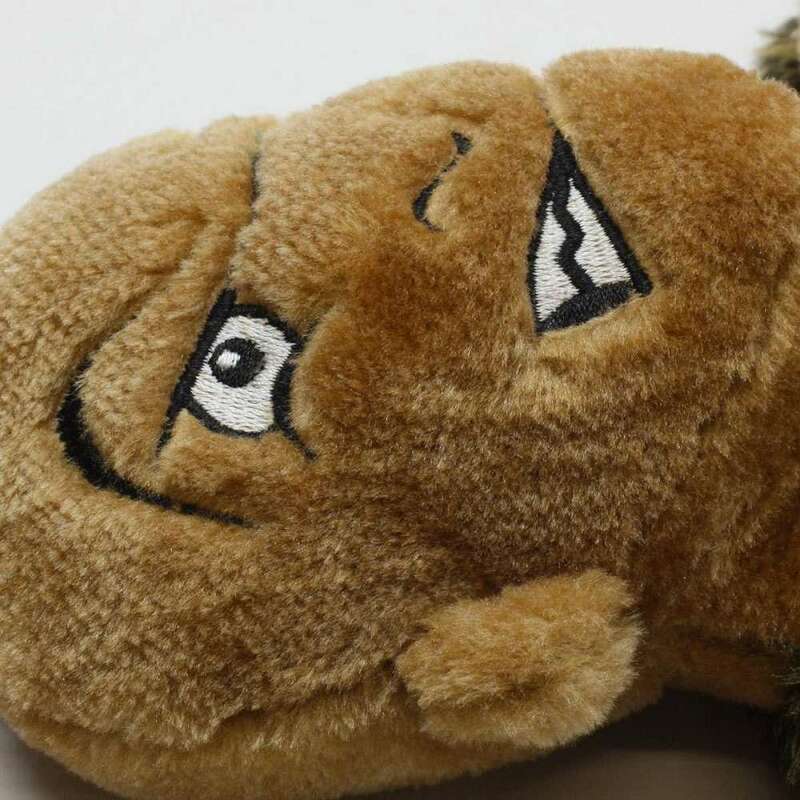 By the way, when I say "fuzzy stuffed hedgehog meets..." I mean it. Check out the Tuff Guys' backs. Yikes. If they survive Fido's jaws of destruction for a month, I think you owe them a series of laser treatments.